The Super CSI Tactical Flashlight features 10 White LED’s, 5 Green LED’s, and a red laser pointer. 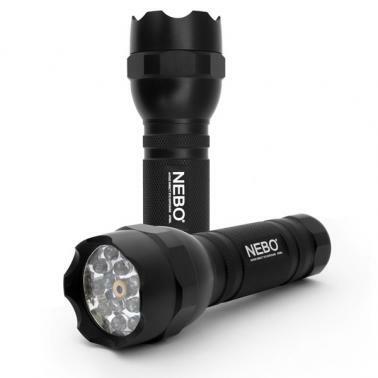 Constructed of anodized aircraft grade aluminum, this flashlight’s design is completely water-resistant. Adding to the toughness of this light is the aggressive self-defense face and anti roll body design. The CSI Tactical Flashlight has 5 settings, 10 White LED’s on, 5 Green LED’s on, laser pointer on, 10 White LED’s in flash mode, and if you hold down the rear button for 4 seconds the White LED’s and laser pointer flash in the Morse Code S.O.S. sequence. Green LED’s improve night vision and also work well for map reading.